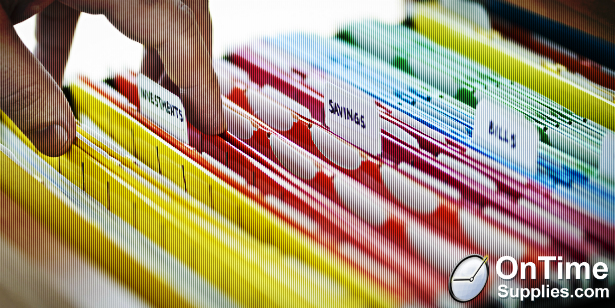 1/5 cut tabs are great for deep, extensive indexing systems. But finding labels to fit the tabs can be a pain. Major filing product manufacturers such as Smead, Pendaflex and Avery don’t even make 1/5 cut labels. So, does that mean you can’t label your 1/5 cut file folders? No! Instead of fruitlessly searching for 1/5 cut file folder labels, just use small address labels. A 1¾ x ½ labels will fit any 1/5 cut tab. Plus, thanks to the free label templates most manufacturers offer, you can customize the labels however you need to. You can keep it simple with a large letter or number for alphabetical or numerical systems, or cram in as much detail as you want. 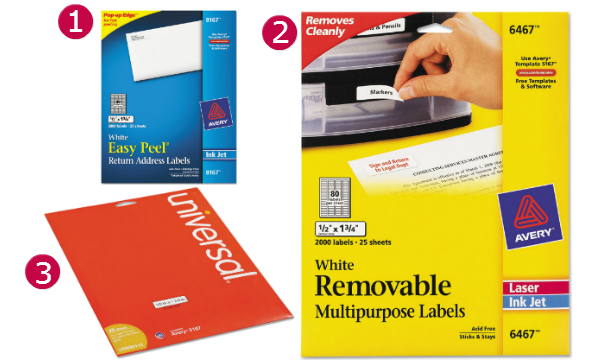 Best labels for 1/5 cut file folders. You can shop more small address labels here.